The new 4.0 Ah 18 V Bosch SlimPack battery offers up to 65% more runtime (compared to Bosch 3.0 Ah) and 2x longer life with unique Cool Pack™ design technology. The advanced heat conductive housing keeps the battery cooler for long life. An integrated fuel gauge makes checking charge status quick and easy. And working in cold weather is no issue down to -4°F. 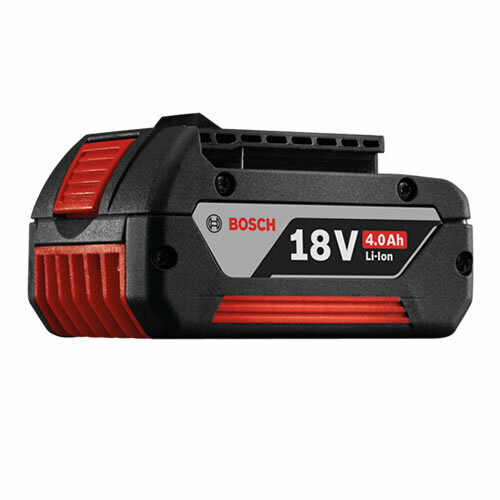 The BAT620 is compatible with all Bosch 18 V Lithium-Ion power tools, radios and more.